"Just like how cellphones and Wi-Fi routers have become essential parts of today's households, I believe that wireless technologies like these will help power the homes of the future," says Katabi, who co-wrote the new paper with Ph.D. student and lead author Mingmin Zhao, MIT professor Antonio Torralba, postdoc Mohammad Abu Alsheikh, graduate student Tianhong Li and Ph.D. students Yonglong Tian and Hang Zhao. They will present it later this month at the Conference on Computer Vision and Pattern Recognition (CVPR) in Salt Lake City, Utah. 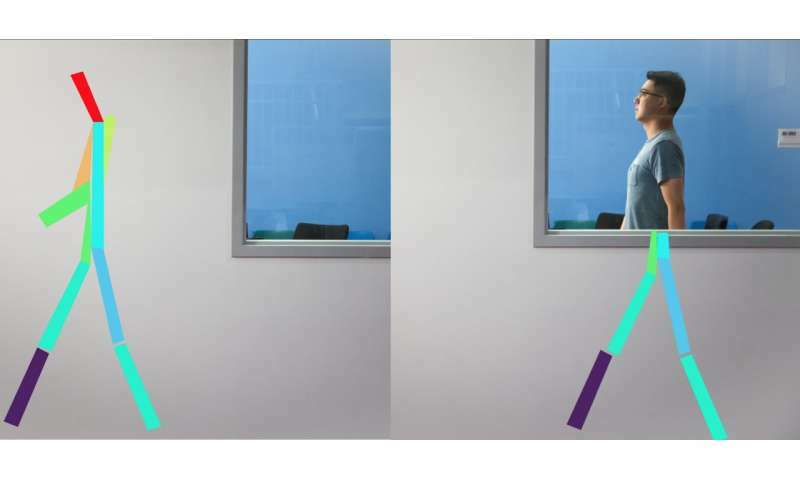 Since cameras can't see through walls, the network was never explicitly trained on data from the other side of a wall—which is what made it particularly surprising to the MIT team that the network could generalize its knowledge to be able to handle through-wall movement.